May 8, 2014 By Samuel Partida, Jr. Here I present a police dog case law summary. The drug dog has become one of law enforcements most powerful tools. However, we are best served by remember that this tool, like all other tools, is not perfect. The law on police dog drug sniffs contains three foundation cases from the United States Supreme Court. See my prior posts on police drug dogs. Click Here & Click Here. You can listen to Podcast Episode 049 of the Criminal Nuggets Podcast from the player above or subscribe on iTunes below. This case threatened to blow this issue wide open in favor of the police. It concluded that a police dog sniff was not a search. And we all know that things that are not searches are constitutional. Facts: This was a traffic case. Car was stopped and driver ticketed for speeding. During the traffic stop, a canine unit appeared and a dog handler walked the dog around the car. The police dog alerted on the trunk. Police searched the trunk. Driver was arrested for trafficking cannabis. Everything happened in under 10 minutes. “That any interest in possessing contraband cannot be deemed legitimate, ‘and thus, governmental conduct that only reveals the possession of contraband' compromises no legitimate privacy interest.” United States v. Place, 462 U. S. 696 (1983). The gist of the ruling is that a privacy interest (that society recognizes as reasonable) cannot exist for aromas that come from completely illegal contraband. “A dog sniff conducted during a concededly lawful traffic stop that reveals no information other than the location of a substance that no individual has any right to possess does not violate the Fourth Amendment.” Caballes, 543 U.S. 405 (2005). You don't have a privacy interest in illegal smells. Caballes Still Set Limits, Can I go now? Yet, even Caballes recognized limits on the use of police dogs during a traffic stop. (This limitation would also apply if drug sniffing dogs are used in DUI roadblocks). The Court approvingly noted that the police officers detaining Caballes did not delay the traffic stop just so that the drug dog could finish the sniffing. This is important. A seizure that is justified solely by the interest in issuing a warning ticket to the driver can become unlawful if it is prolonged beyond the time reasonably required to complete that mission. Caballes, 543 U.S. 405 (2005). If the police try to slow down the interaction with the driver so that the police dog has time to get make it to the scene of a traffic stop that would be illegal. Similarly, delaying the writing of the ticket or returning a driver’s license so that the dog has time to finish the sniff is unconstitutional. This may also be referred to as going “outside the scope” of the traffic stop. Any unnecessary delay would have been unconstitutional as an unreasonable prolonging of the driver. Legally, we like to say the police exceeded the scope of the traffic stop. This “no delay” and “scope” rule serves as a real and practical limitation on the use of police dogs. The simple fact is that K-9 units are far less numerous than normal patrol vehicles. This specialized team is typically called out on special assignments. The practicality of having a drug dog at every traffic stop is impossible. The criminal defense bar has to be vigilant about recognizing stone walling by the police. Any proof of an unconstitutional delay must be brought to the trial court’s attention in a motion to suppress evidence illegally seized. Caballes was in a car that was lawfully stopped. His marijuana trafficking charge came from the marijuana found in the trunk. Jardines, on the other hand, was growing the marijuana in his home. This difference is critical to the United States Supreme Court. Facts: The police were informed that Jardines had a marijuana growing operation in his home. A DEA agent, a trained drug dog handler, and a the police drug sniffing dog all walked up to the front door and knocked. The dog was not there to welcome Jarndines to the neighborhood. The drug dog was working. The K-9 was there to sniff for drugs, and of course, alerted to the presence of contraband. The police then left to go get a search warrant. The Amendment establishes a simple baseline, one that for much of our history formed the exclusive basis for its protections: When “the Government obtains information by physically intruding” on persons, houses, papers, or effects, “a ‘search’ within the original meaning of the Fourth Amendment” has undoubtedly occurred. Jardines, 133 S.Ct. 1409 (2013); quoting United States v. Jones, 565 US 945, 132 S.Ct. 945 (2012) (this is a GPS tracking case). The police were in his home and on his property in an investigative capacity. They did not have permission to be there. That is a search. That the officers learned what they learned only by physically intruding on Jardines’ property to gather evidence is enough to establish that a search occurred. Jardines, 133 S.Ct. 1409 (2013). The Court was well aware of it’s own case law that said dog sniffs are not searches. However, the Court refused to play the “expectation of a privacy interest” game in this case. They were in his home! Even Scalia lost his puppies over that one! Understanding these cases is crucial to any defense of a police dog drug sniff case. Some of the deeper implications of Harris are discussed below. The current state of the law surrounding police dogs mandates that criminal defense attorneys inform themselves in very important areas. For example, it is paramount that we get up to speed on drug dog training. The case law clearly allows a court to assess a dog's reliability based on whether the dog finished narcotics training. If courts are going to find police dogs reliable based on this one factor, it is incumbent on us to learn as much as possible about police dog narcotics training programs. It is the job of the defense bar to get up to speed on all the important details of appropriate police dog narcotic training. For example, we need to get up to speed on organizations like SWDDOG. This is an organization that establishes standards for dog training programs. A recent Illinois criminal case on a police dog sniff case suggests it is going to be harder to challenge the reliability of a police dog after all. However, I still want to emphasise that it is not all bad news. In this podcast episode, I discuss the case of People v. Litwhiler. The case presented a situation with factors that should have diminished the reliability of the police dog in that case. First of all, the dog “detected” illegal mushrooms. Yet, the dog had no training in the detection of mushrooms! Personally, I don't understand how this fact did not play a bigger role in the case. This detail is only mentioned in passing. It is not discussed in an analytically way. Second, the police dog died four months after the search in that case. Again, this is a detail that is only mentioned in passing. It seems the fact that the dog may have had significant health problems was completely undisclosed to the defense. The troubling aspects of the decision is that these factors, although noted by the appellate court, essentially played no role in its assessment of the dog’s reliability. A dog's health may not be something we know about if we don't actively try to find out. So the court's are going to place great emphasis on the fact that a dog finished narcotics training. But it is up to us to ensure that police dog narcotics training not become the whole story. In Litwhiler, he court appeared to rely on that one factor to determine the dog’s reliability. The court relied 100% on the mere fact that the dog had undergone narcotic detection training. So it appeared the court relied on nothing else. The case does appear to confirm the defense bar’s concern that it is going to be impossible to challenge the reliability of a police drug dog in court. I am still holding out for optimism. Thorough police dog discovery should not be abandoned. 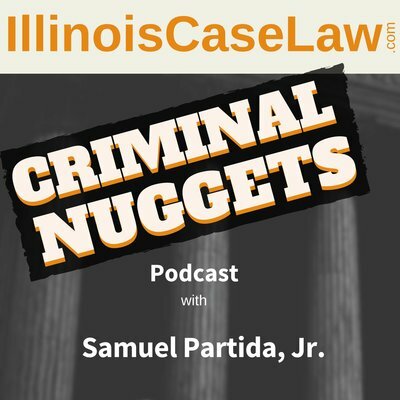 In this podcast episode, I suggest that thorough discovery on the dog and the dog handler could provide a pathway to challenge the reliability of the drug dog in court. And for that matter we won't know anything about a police dog's reliability if we don't try to discover it. We have to be more organized and demanding about the discovery we receive pertaining to the dog in our cases. We have a right to access training records that can help us assess the specific dog's reliability to not only detect drugs but also the dog's ability to accurately signal this to the handler. All the cases discussed above point out that the defense attorney has the right to probe and challenge the reliability of a police dog. In order to do that, it means asking for the right kind of discovery. I created a sample doggie discovery motion that you can use to try to find out all that you can about the drug dog in your case. You can download the doggie discovery motion below. Police dog discovery is one way to gather the tools necessary to challenge the reliability of a drug dog sniff. Police dog medical records have to be included in any doggie discovery that the defense is demanding. In my original article on police dog discovery, I did not include a specific request for doggie medical records. Therefore, the first paragraph of that discovery motion should be amended by the addition of the following lettered paragraph. This new front on the Fourth Amendment battle field is not encouraging. The defense bar must do its best to hold-up the line and prevent what appears to be rampant, unquestioned acceptance of police dog reliability. There will only be more and more of these police dog cases to come. Good luck out there! The bottom line is that the police won't need a warrant to use a police dog outside your home. But the dog better be there already or get there fast. To bring a police dog onto your property, the police will need a warrant. I created this infographic to summarize these drug sniffing dog cases. I hope it helps keep the cases straight.